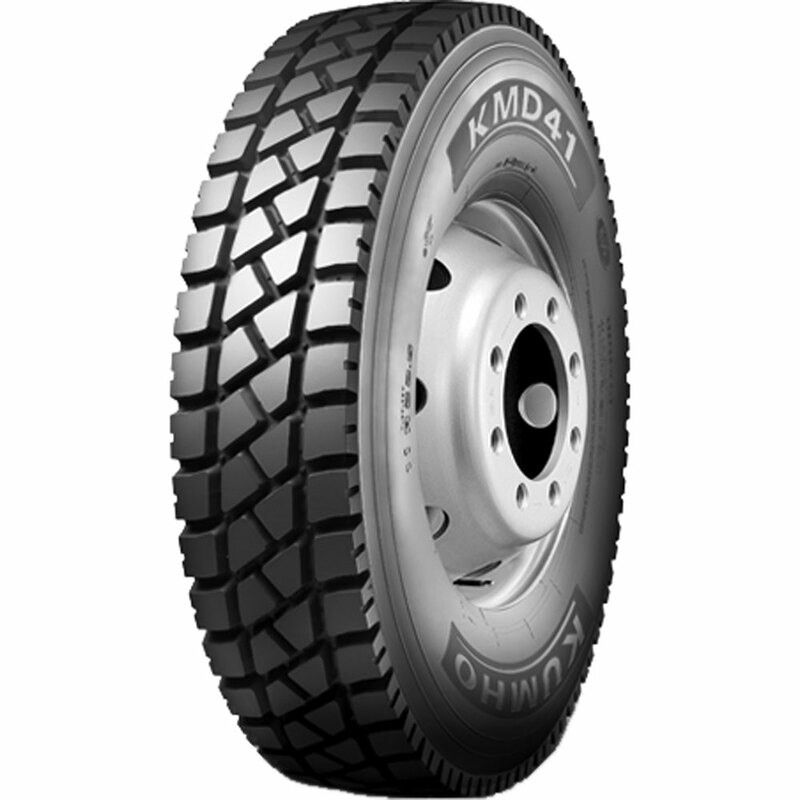 The new KMD41 was designed using Kumho Tire's ICOS (Integrated Component Optimization System). This proprietary technology optimizes tire casing shape, which redirects stress in critical areas. The result is maximum durability in a true mixed-service tire that delivers long tread life at highway speeds on paved roads and aggressive traction in off-road conditions. 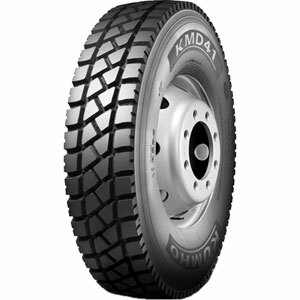 The new KMD41 is ideal for hauling refuse, construction operations or other extreme off-road heavy duty applications. Mixed service, non-speed restricted highway use - max 65 mph. Aggressive 31/32" multi-lug design for maximum traction and tread wear. Optimized tread radius for long even wear in drive axle use. New compound technology for greater resistance to cutting and chipping. New ICOS technology maximizes durability and promotes retreadability. Improved block stiffness and integrated groove stone ejectors for optimized traction and self-cleaning performance. Lower rolling resistance for improved fuel mileage. Environmentally friendly tread compounding for a cleaner environment.